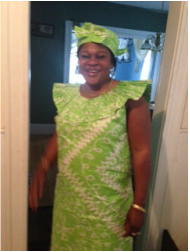 Fatou Fatty is the coordinator of Revere Community School (RCS). She brings to NIAAS over 25 experiences working with low-income, immigrant and refugee women and their families in the United States and Gambia, West Africa. Her expertise is in community organizing, program development & coordination, grant/ fundraising, training, economic development and participatory adult education. She was the co-founder and executive Director Women Encouraging Empowerment Inc., a non-profit organization in Revere organizing with immigrant and refugee women. Before founding WEE Inc., Fatou worked in various capacities at Cooperative Economics for Women (CEW) for 9 years from trainer to program organizer and Associate Director. She served five years on the funding panel and board of directors at the Haymarket People’s Fund, one term on the allocation committee for Boston Women’s Fund, where she aided in funding different community projects throughout the state of Massachusetts. Fatou has a Degree in Development students, Master’s degree. Sustainable International Development from Brandies University and diplomas in Women and Economic Development. She is fluent is Wollof, Mandinka.